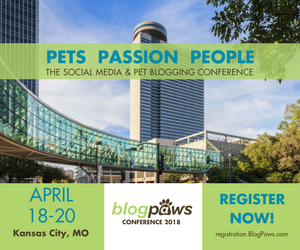 BlogPaws hosted its first pet-friendly social media and marketing conference in 2010 and has grown annually into the biggest social media event and conference of its kind. BlogPaws conferences attract expert and inspirational speakers from TV personalities (Andrea Arden, Rescue Ink, even Tillman the Skateboarding Bulldog! ), to social platform experts (Google, Squidoo, StumbleUpon, Tout, BlogHer), to legal presenters on copyright and e-commmerce concerns (FTC and private counsel), and dozens of well-respected educational speakers on topics of value to the pet community. May 8-10th we will be holding our 6th conference in Lake Las Vegas, NV, where hundreds of pet parents seeking information that will help them polish their blogging, social media, SEO and online publishing skills. The conference inspires pet parents to collaborate with one another on business projects and pet welfare causes. The conference is also a place where pet bloggers connect with agents and executives who sell the consumer brands they buy every day.